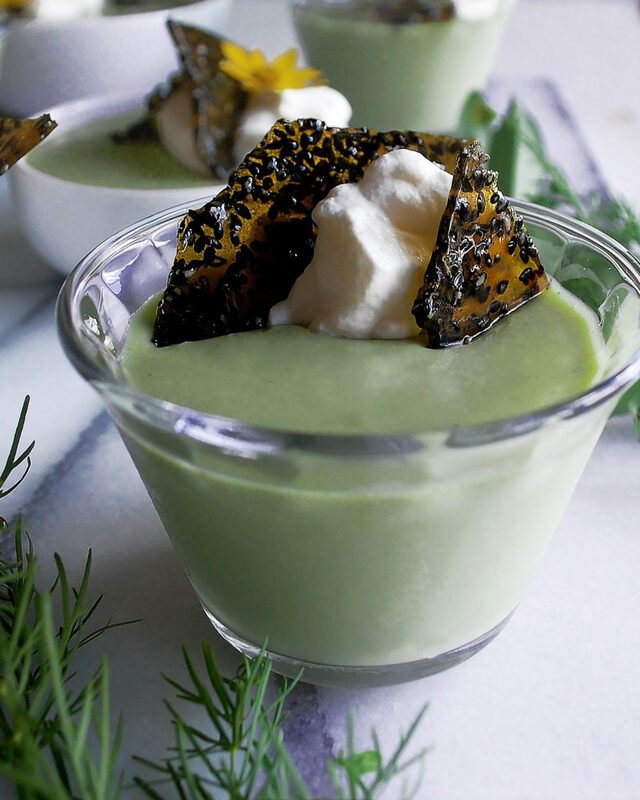 Rich custard is flavored with ginger, matcha, & white chocolate…then topped with whipped cream and black sesame brittle. I have been absolutely loving matcha. I go in phases with drinking coffee, and right now I am doing just fine without it, drinking matcha instead. 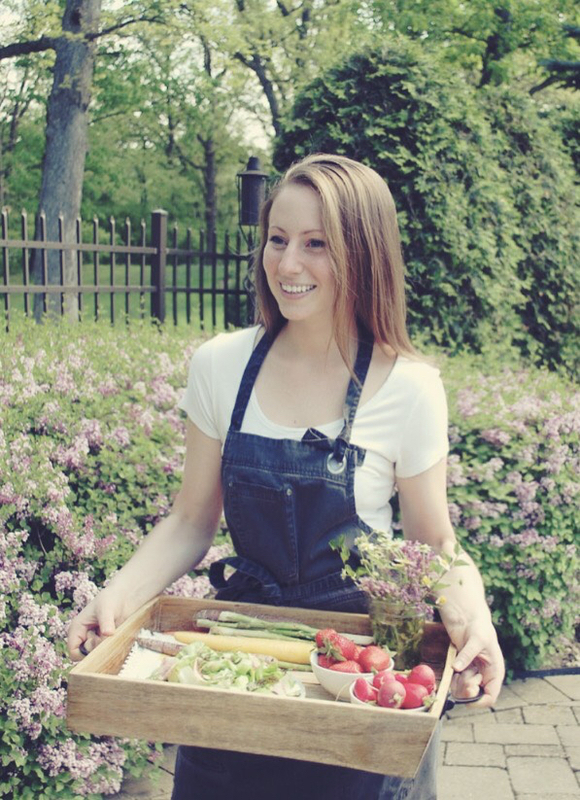 Matcha provides a steady caffeine boost, without causing a huge crash in the middle of the day. 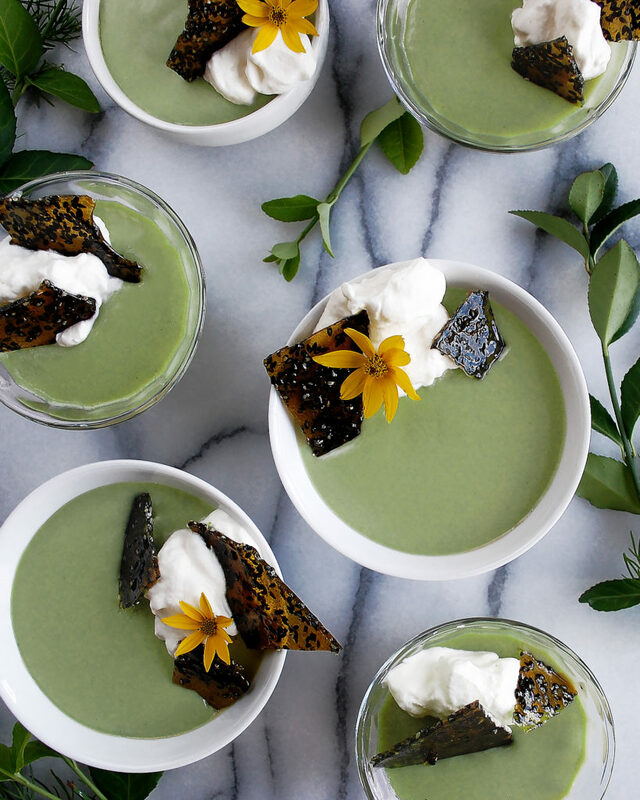 The energy, plus the endless amount of health benefits, plus the beautiful earthy flavor are just some of the reasons I can’t get enough of the bright green tea powder. While I drink matcha on a regular basis, I’ve just recently started to experiment cooking and baking with it, too, like in these Chocolate Covered Strawberry Matcha Madeleines. 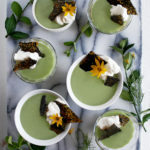 I was delighted to try My Matcha Fix’s certified organic matcha this past weekend and create a ginger matcha custard recipe for the launch of their website. 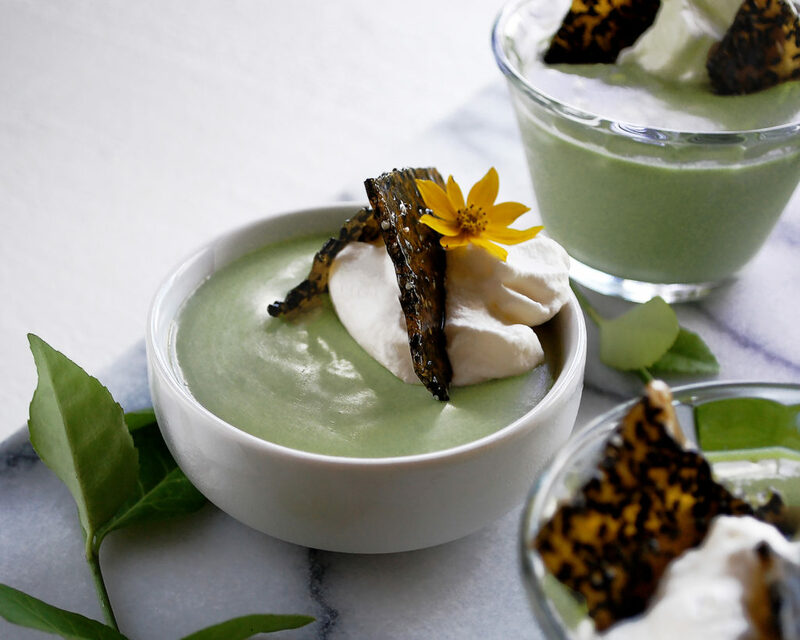 Their matcha blended beautifully into my custard base and added a subtle green tea flavor, without being overpowering. A custard is a simple technique that takes some patience and a bit of practice. Once you get the method down, though, the possibilities are endless. And the finished product is smooth, rich, and creamy…plus you can flavor it a ton of different ways. Whisk the egg yolks well – When whisking the yolks with the sugar, you want to make sure you don’t rush this process. You should whisk long enough so that the yolks turn pale yellow and the mixture thickens. Temper the eggs – Never skip this step in the recipe. Instead of just adding the yolks to the hot cream, you need to start by tempering them, or bringing them up to temperature. You do this by adding a small portion of the hot cream to the egg yolks, whisking the mixture gently, and then pouring it back into the hot cream. This technique prepares the eggs to be incorporated into the liquid. When in doubt, the lower the heat the better – One of the biggest mistakes when making custard is that the eggs curdle. This happens with too much heat. Cook the custard low and slow. I keep my heat at the lowest possible setting. Strain the custard – Once the custard is cooked through, always strain it into a clean mixing bowl (in this case, the mixing bowl with have white chocolate chips in it). The straining process removes any lumps and creates a smooth custard. Allow to cool – Always use an ice bath to cool the custard before pouring it into the dishes. If you pour the hot custard into the dishes and throw them straight into the refrigerator, the custard will never set up and the texture will ruin. Alright, back to the matcha. Once the custard is cooked (reaches 160F), I add a small portion of it to My Matcha Fix matcha and use a matcha whisk (a regular whisk won’t work) to blend it together. 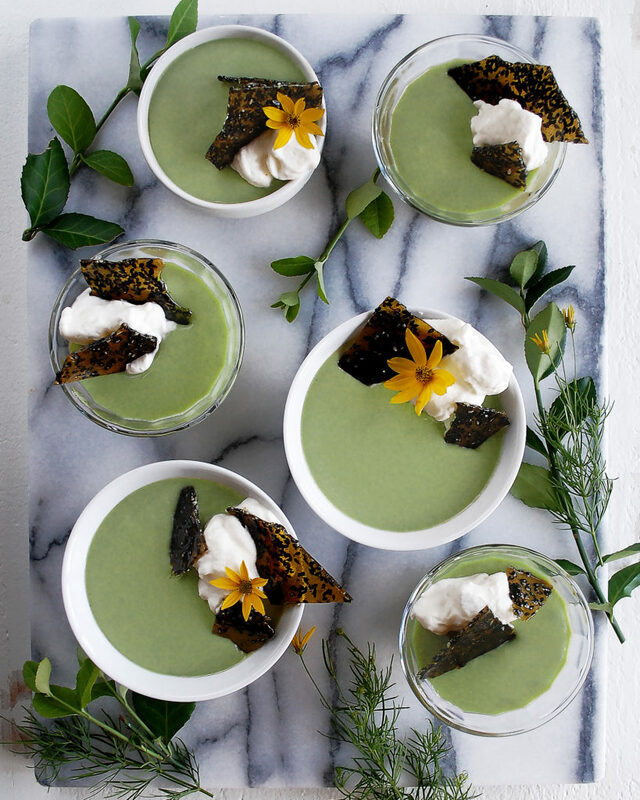 This way you can incorporate the matcha extremely well. It’s easy to then pour that mixture back into the custard. If you add the matcha straight to the custard, it will clump together. The custard gets poured over chopped white chocolate and sits for just a minute or two so that the chocolate can melt. Not only does the white chocolate create an extra creamy custard, it helps the custard set. And a little almond extract adds a sweet flavor. Once the custard cools slightly, I divide it into small dishes and refrigerate until set. 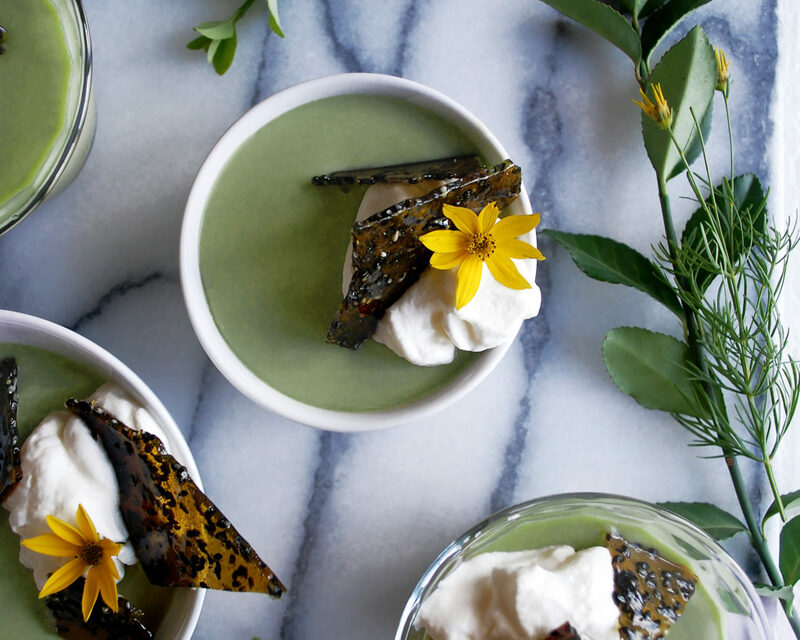 When ready to serve, I garnish each dish with a small spoonful of whipped cream and a few pieces of black sesame brittle. 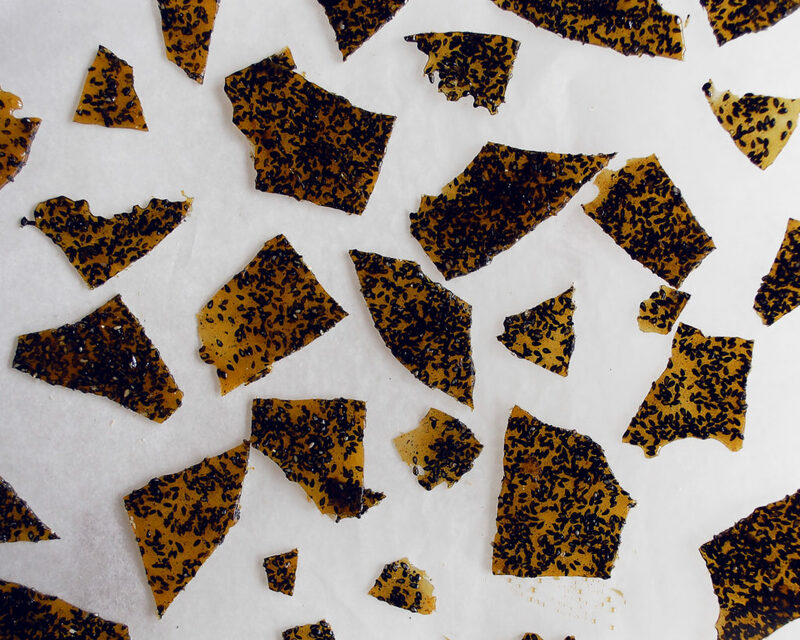 The black sesame seeds work so well with the ginger and matcha flavors. Plus, the brittle turns out beautifully and adds a lot of character to the dish. Enjoy! In a medium saucepan, heat the heavy cream, half & half, and crushed ginger over medium-low heat. Meanwhile, whisk the egg yolks in a mixing bowl. Add the sugar and keep whisking until thick and pale yellow. When the liquid in the saucepan just begins to simmer, remove it from the heat and temper the eggs by slowly drizzling a third of the liquid into the mixing bowl, whisking continuously. When combined, pour the tempered egg yolk mixture into the saucepan with the rest of the liquid. Cook the custard over low heat until thickened. Allow enough time for the eggs to cook through and reach 160F, while keeping the heat extremely low so the eggs don’t curdle. When the custard coats the back of a wooden spoon well, turn off the heat.